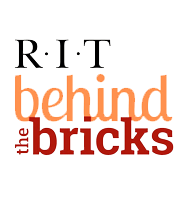 Welcome to the Finance & Administration Division of Rochester Institute of Technology. This division is organized and operated to provide premier service to the university in the stewardship of its human, physical, financial, technological and informational resources. The staff members of Finance & Administration are among the most talented and dedicated professionals in higher education. Any member of the division will be more than pleased to assist you in acquiring specific program information beyond that contained in our sites. I invite you to contact us for any assistance that we may be able to provide. Preparing students for innovative, creative, and successful careers in a global society. Our division has a culture that celebrates diversity in all of its forms. Committed to LEED-certified facilities, innovations in Dining Services, Green Data Center technology and a paperless workplace. The RIT Venture Fund is seeking investment opportunities in growth-oriented companies with a link to RIT. Informing our community on RIT’s financial planning process. Become part of the conversation. Independently operated anonymous reporting system for the RIT community. Financial Literacy Powerpoint .pdf presentation by Dr. James H. Watters. Beginning Guide to Investing.